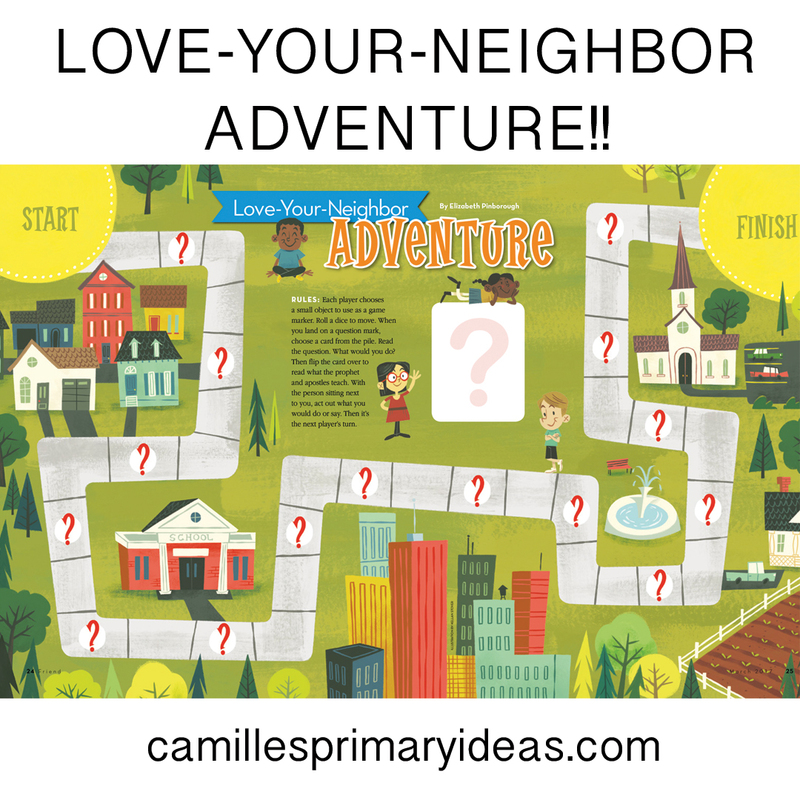 The March 2017 Friend had this FANTASTIC Love-Your-Neighbor Adventure game HERE which I easily converted it into a Valentine's Day singing time activity! You'll be singing LOTS of a variety of songs so make sure to post the words (see how I do that HERE) and you can also sing along to the songs played on a CD if you need extra support! 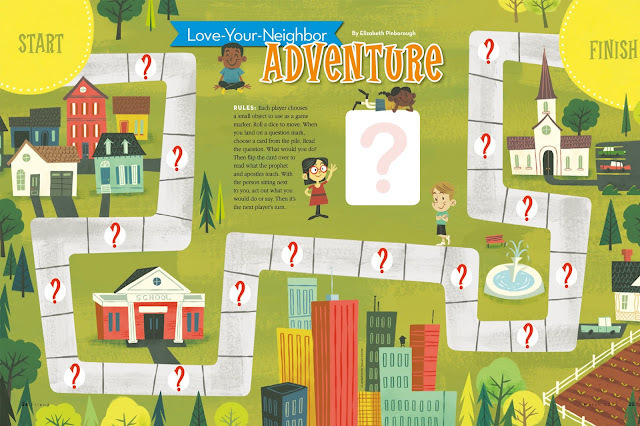 I resized the game board so it will print as a 20x30 so you can have it printed at Costco! Download the JPEG HERE. I've also got the PDF HERE if you go with another printer. 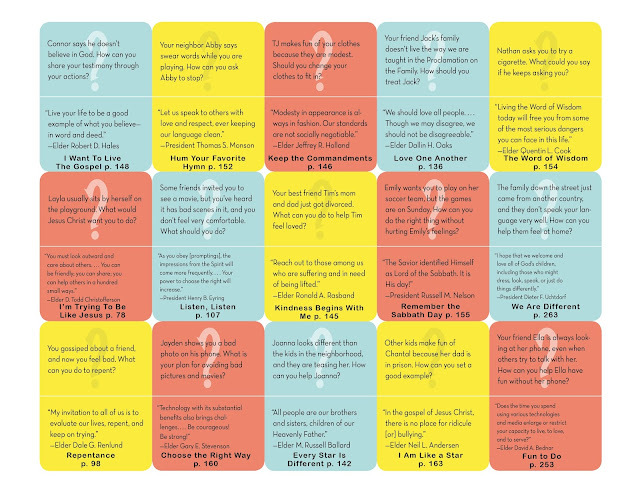 If you want to print it at home, I have a tiled version HERE that prints on 8 sheets of paper (I'd recommend card stock, laminating then either mounting on a poster board or taping it together). If you really want to simplify, recreate the game board on the chalkboard and just print the game cards and markers below! Download my document HERE that includes the songs I added. I also have a blank one HERE in case you want to write in different songs. 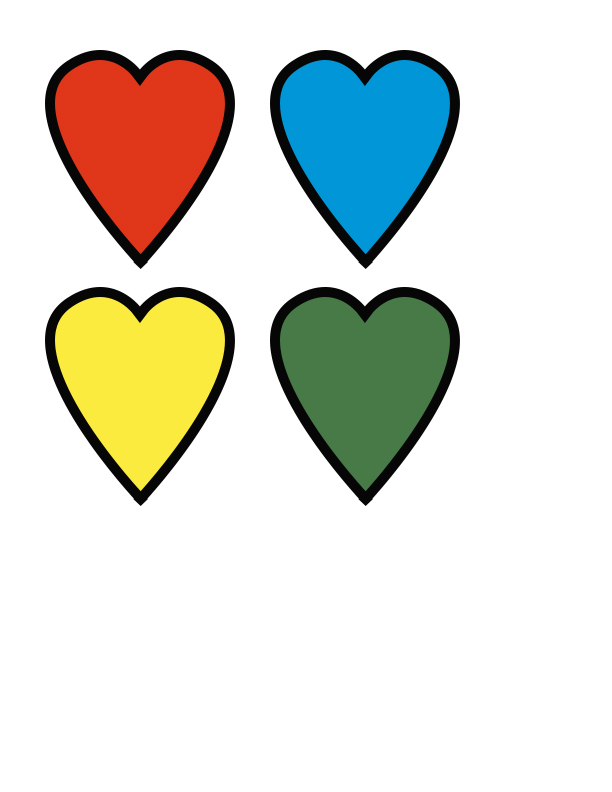 Print and cut these out, fold them in half with the words facing out, and either tape them closed or laminate them. These are simple game markers I created that you can print out on card stock, laminate (optional) and either attach a magnet to the back (tape will work too) or you can just put a magnet on top while you play. Play in small teams (up to 4 using the markers I created) or just play with 1 marker as a whole primary! I'll be bringing in one of my big foam dice (but regular dice will totally work!). Find more details on where I got these HERE. I absolutely LOVE bringing in The Friend into singing time!! 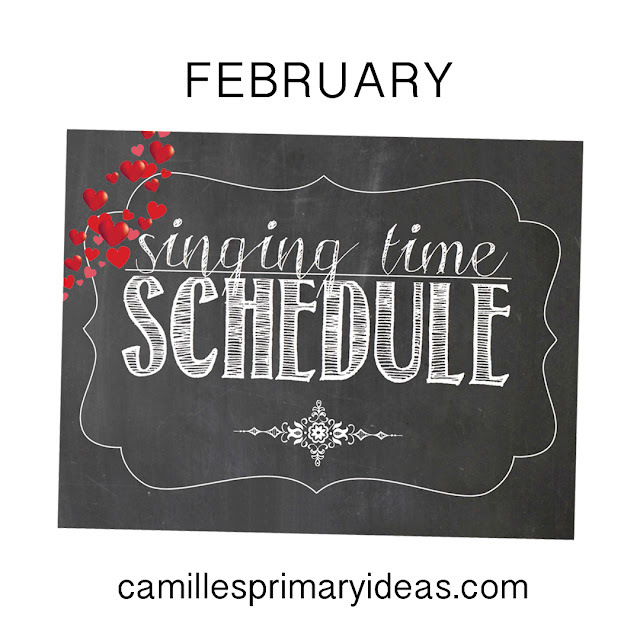 You can also scroll through all of my other Valentine's singing time posts HERE. Also, make sure to check out what I have for the rest of the month of February HERE. If I divided the primary into 4 different groups what I need to print the game board at Costco 4 times? What are you doing for this game? One game board, or 4? I’d recommend one game board with 4 markers and divide the primary into 4 teams, assigning each team a marker. I hope that makes sense. Oh yes! Now I get it, thanks! Sorry! Thank you for doing this!!!! We had so much fun using this in primary yesterday!